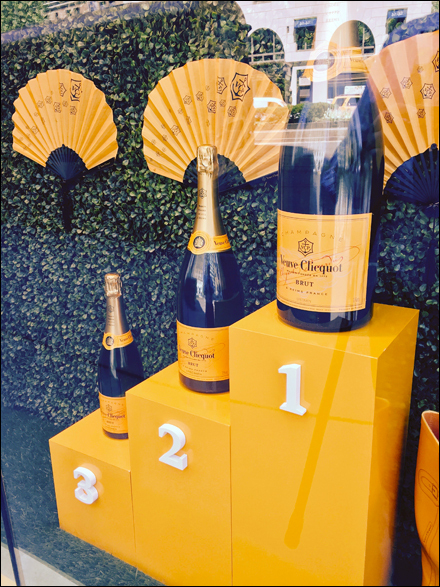 Pedestals, decorative hand fans, and Veuve Clicquot® label and neck band all fly the same brand colors in this Spirits Store window display. From a distance I thought the “1-2-3” a “Good-Better-Best” ploy, but no, all were the same Veuve Clicquot® offering in 3 sizes. Maybe the numbering system represents “Happy-Happier-Happiest” as the outcome of imbibing that quantity. 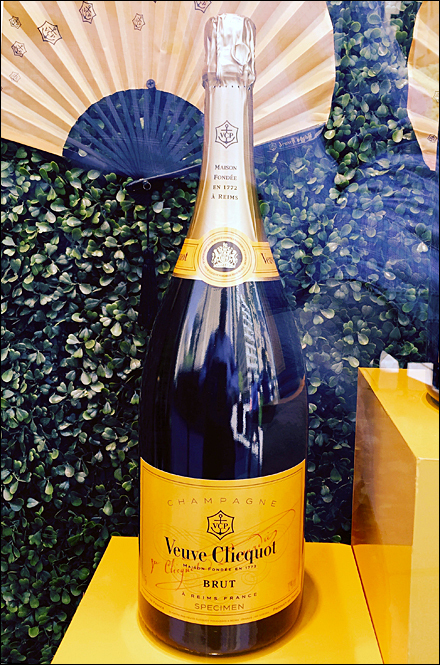 Bet a Veuve Clicquot® closeup by clicking the thumnbnail.